Maybe when you are young you would like to use color pencils to color the teeth of different characters, well well, now it's your chance to bring it to live (obviously not with coloring pencils ...). What's more, you can have a 'fashion show' for your braces once a month and also align with different occasions. This is something you should look forward to every month and also your source of motivation to visit the dental. I am not asking you to skip school once a month. But going to visit the dental seems a logical excuse to not attend something, am I right? No one would ever doubt you because you are wearing braces and you HAVE to visit the dentist anyway. It's the most striking that anyone would have notice once you open your mouth due to the metal brackets or the attractive colors of your braces. Fear not for not putting enough makeup on that day because all attention will go to your mouth. But that means, you have to brush and check your teeth to ensure nothing stuck in between! When people offers you food (most likely something not to your liking) you can always say "Sorry, I can't have it because it will stuck onto my braces." But let's be more honest and say you don't want/don't like the food. Also, this doesn't work when the offering party is wearing braces too, in that case, think of other excuses. LOL. Have never smile so widely in my whole entire life without having the feeling of being judged by my uneven teeth. Interested parties please contact me at szekiyip@hotmail.com for weight lose management. Okay joke aside, I edited this picture and how I wished the amount of weight lose could be this great. 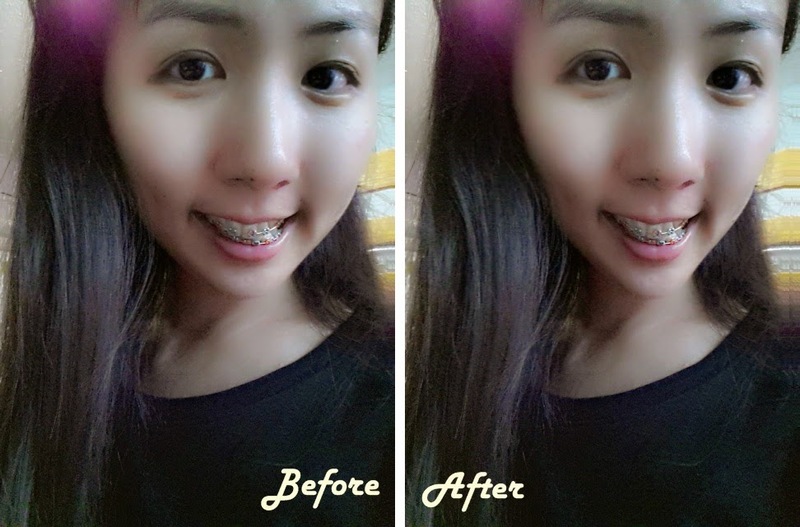 From the month (Nov, 2013) I started having braces to December 2013, indeed I lose quite a bit of weight (but gained back cause I went Hong Kong). Exactly my excitement when I look at someone with braces. That's because we can have common topic to talk about and understand one another so much better (as compared to those who doesn't have braces/who have never wore one before). Think about the nice straight teeth you are getting 2 years (depending on your teeth, some might be around a year +, whereas some might be more than 2 years). And just for one price, you get a lifetime straight teeth. Well, that's what I understand from my dentist. 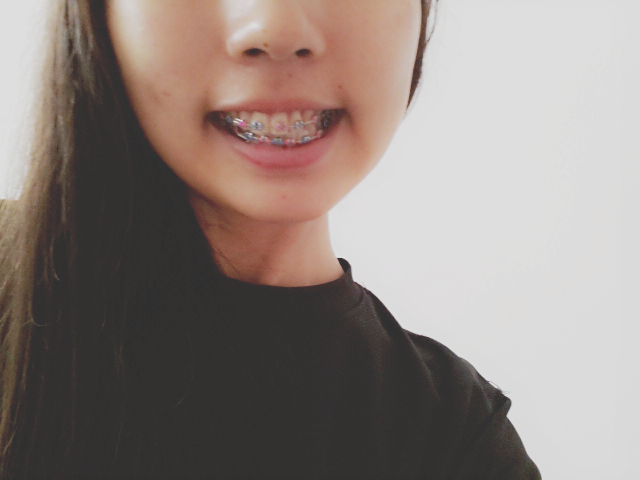 It's not even a year to my braces journey but I've personally come up with/encounter such pros of having braces. 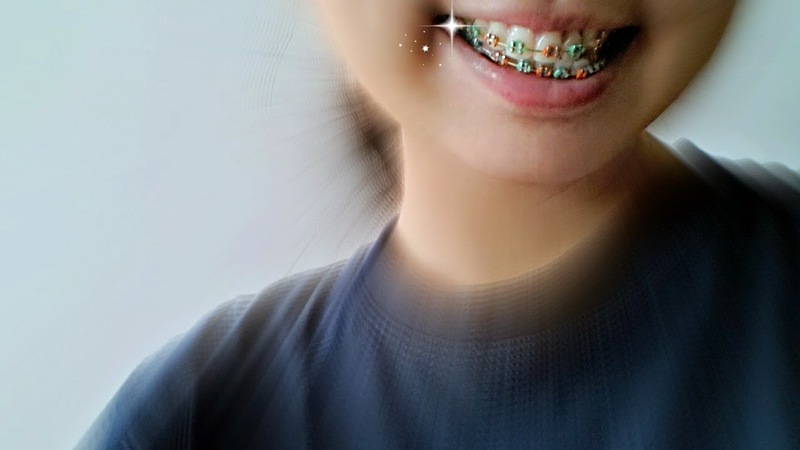 Of course there will be a downside of it but at least I am enjoying the process of wearing braces right now. Thank you for a post about braces. Will be having one, later from a makati dentist.